MainAll NewsForeign AffairsBolton: International Criminal Court "dead to us"
US National Security Advisor threatens sanctions against ICC in response to war crimes probes against US military in Afghanistan. John Bolton on Monday attacked the International Criminal Court in The Hague and said the United States would not cooperate with an illegitimate institution. "For all intents and purposes, the ICC is already dead to us," Bolton said at a meeting of the Federalist Society in Washington DC Monday. He called the organization, which has been recognized by 123 nations around the world, "illegitimate," as well as “ineffective, unaccountable, and indeed outright dangerous." He said that the US would "fight back" if the ICC launched investigations into alleged war crimes committed by US forces in Afghanistan, and added that "the central aim of [the ICC’s] most vigorous supporters was to constrain the US." “Would you consign the fate of American citizens to a committee of other nations [and] entities that aren’t even states like the Palestinian Authority?” he asked. Bolton threatened that the US would respond to ICC actions against US servicemen by imposing sanctions against ICC officials and prosecutors. 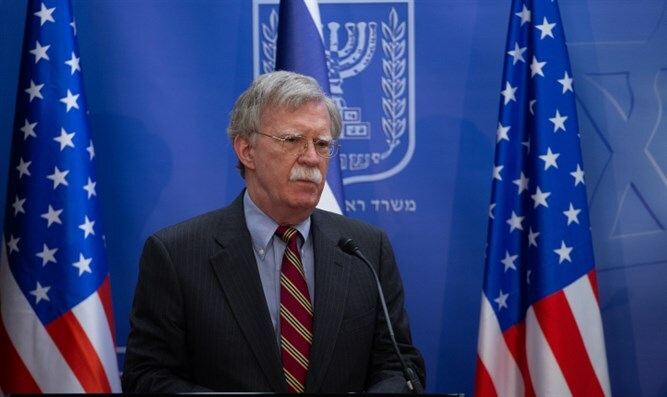 Bolton also slammed the Palestinian Authority for filing a war crimes complaint against Israel with the ICC after the Israeli Supreme Court allowed the evacuation of an illegal Bedouin village. “We will not allow the ICC or any other organization to constrain Israel’s right to self-defense,” he said.